I am working on a sort-of secret knitting project right now; a gift for someone I love. I realized yesterday that my deadline for finishing this gift is closer than I thought, so I’ve taken to working on it anywhere and everywhere. Last night I even worked on it at the bar during happy hour. 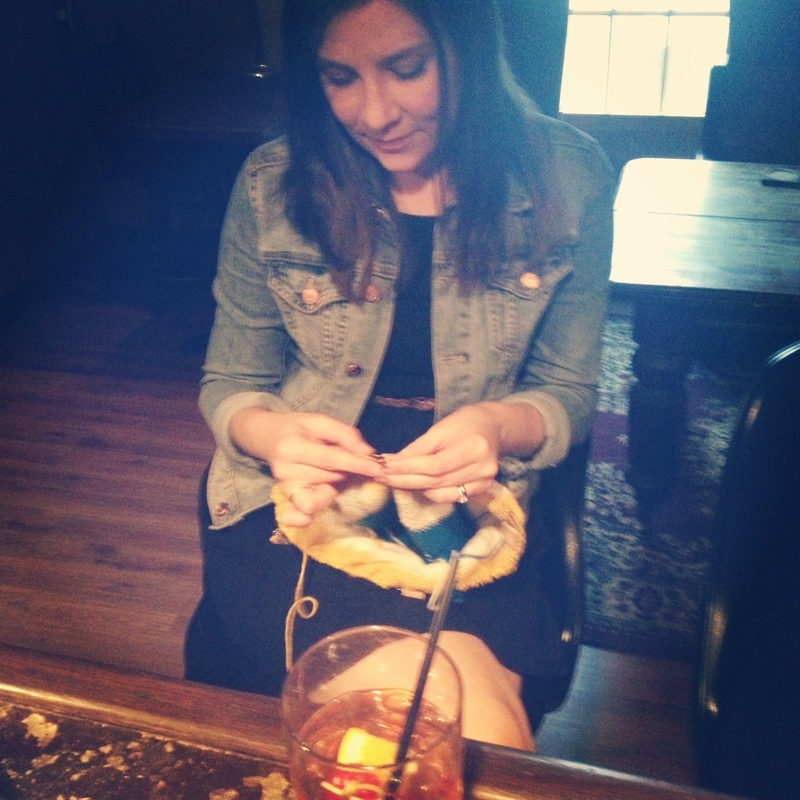 A classic cocktail in one hand and my knitting in the other- it wasn’t a bad way to spend the evening!